I know that I’m not supposed to be posting so many sweets and desserts successively over here! I do agree that they add sweetness to life and mitigate sufferings temporarily, but at the same time, one must not forget that it has to be done in moderation. But what to do when there is a birthday and a very important 5th birthday at that? A birthday that involves baking lots of cupcakes, cookies and an orange cake as per the request of the birthday boy. And how could I not cater to the request of an orange cake by this cute little boy who just happens to be the apple of my eye and the most precious human being in my life, a life that grew in my womb! And the birthday boy in question is now 5 years old with mischievous streaks who loves to cycle and play with all his toys and friends and watch his favourite cartoons on the computer just like any other boy his age. 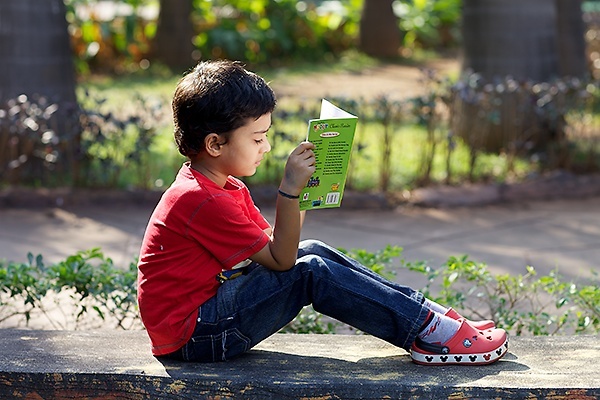 But apart from all the fun and frolic derived from play what also contents me about this little boy’s personality is his love for books. Not a single day goes by without me reading him a book and putting him to sleep at night. What amuses and enthralls me is his ability to weave stories around everyday characters and from books too which also makes it compulsive for me to sift fact from fiction during mother-son interactions. But, that said, there is no dearth of entertainment in our household with all the music, dancing and stories coming from this little one. 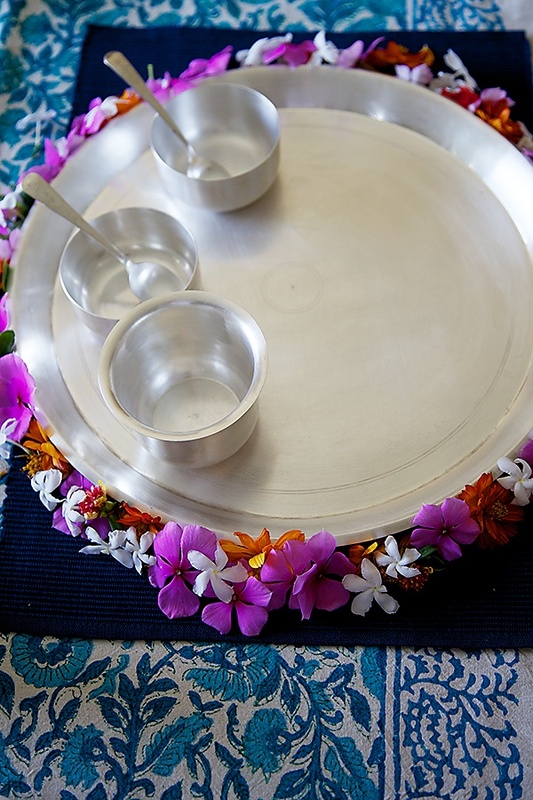 This year my in laws passed on the plate in which the father ate his food the first time when he was 6 months old during the annaprashna ceremony (a vedic ritual concerning the eating of the first grain by a new born child) and the plate was laid for little Hari to arrive form school and savour the delights cooked by his mother. 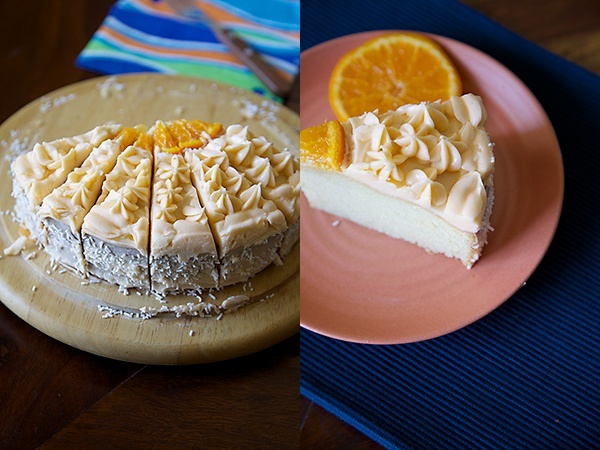 Oblivious to the efforts put in by mother dearest, he did little justice to what was prepared and I had to take heart in the fact that he did relish this utterly delectable “Orange Cake”. 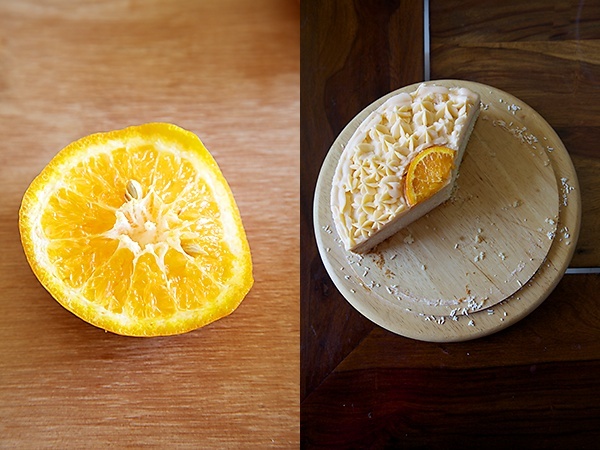 I have often found myself dreaming about an orange cake without eggs. 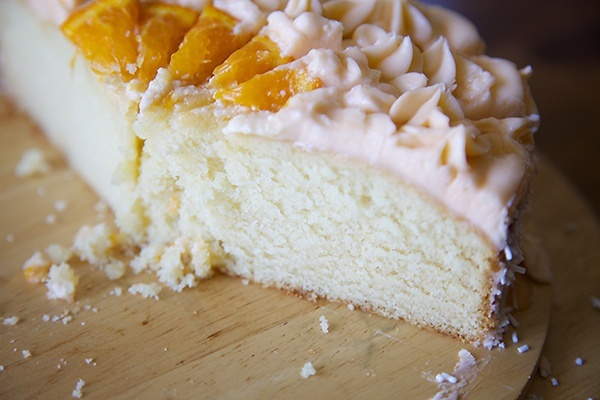 A cake with the perfect texture, that is light and soft with delicate hints of citrus flavours. 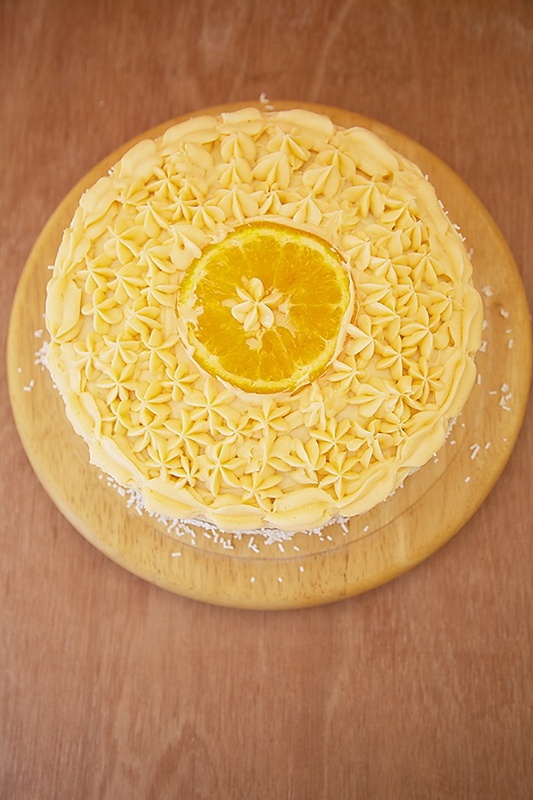 And when Hari wanted an Orange cake for his birthday, I delved in and was very pleased to note that this cake not only lived upto my expectations but perhaps even surpassed my fastidious analysis test. At times simple cakes bring the most joy and this cake definitely belongs to that category. Without any icing or frosting or other embellishments this cake can be a simple tea or coffee cake or a snack too. 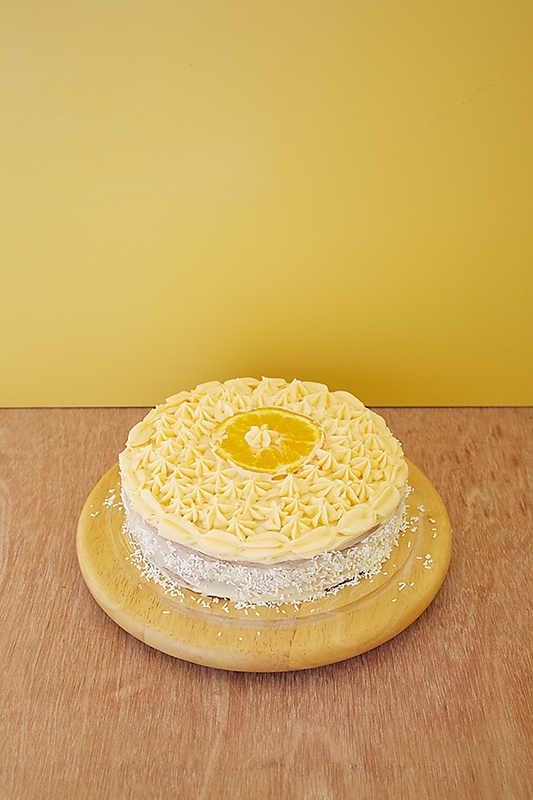 But give it a little base in terms of topping it up with a frosting and decorating it with your creativity and this simple beauty simply transforms into a marvelous piece of gorgeousness. And so it can serve as a simple cake or an elaborate beauty to honour any celebration depending on your mood or life event. If fresh bursts of citrus notes and flavours enliven you and refresh your senses then look no further! 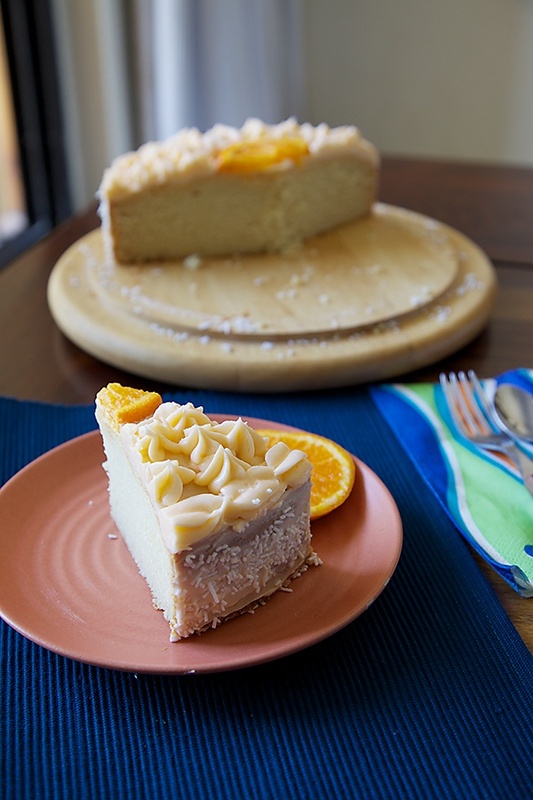 This cake scores on all fronts – taste wise, texture wise and looks wise. And isnt that what perfect cakes are all about? Butter the base and sides of an 8” round cake pan. Line the base with grease proof paper or dust it with flour. In a bowl put in the flour, milk powder, baking powder and baking soda. Give it a good mix and stir once to make the mixture uniform and sieve once to remove lumps, if any. In a bowl, put in the butter and sugar and using an electric beater or wire whisk, beat until smooth and creamy. Put in half the dry ingredients, half the milk and beat until smooth, after which put in the remaining dry ingredients and the milk and beat until smooth, about 2 to 3 minutes. Stir in the cream, orange juice, lime juice and beat again for a couple of minutes until the batter is smooth. Pour the batter into the tin and bake for 15 minutes at 175C. After 15 minutes, reduce the temperature to 150C and bake for 30 minutes more or until a skewer comes out clean. Bring the butter to room temperature. It should not be cold but at the same time, make sure its has not melted or come to a stage where it is about to melt. The consistency and temperature of butter is vital for a good buttercream frosting or icing. Beat the butter with a whisk or hand blender or with the paddle attachment of a stand mixer for a few minutes. Put in about 3 cups of the icing or confectioners sugar and beat at the lowest speed until the butter and sugar are mixed well. Now stir in the vanilla extract, orange extract and the natural food colouring if using and about 2 tablespoon of the cream or milk and beat for about a couple of minutes. And then it is time for you to adjust the frosting. If your frosting looks good, then you are good to go! If it needs to be thinned, then add the remaining milk or cream, a tablespoon at a time. For a more stiffer consistency, add more sugar. After the cake is cooled, spread the icing/frosting over the cake with a palette knife and with the help of a piping nozzle make decorative designs. If you don’t have icing nozzle then simple spread the icing over the cake a palette knife and put sprinklers over it. Hi, is there anything else I can use in this cake instead of milk powder? And if m not using milk powder, will it affect the consistency if the cake, I mean it will remain soft and light or not? the dressing on the cake is simply outstanding. Hats off to you for achieving this professional design. Citrussy goodness. I was also taken by surprise, when I'd made eggless orange cupcakes sometime back, at the fluffy result. Of course, since chocolate goes so well with orange, had added choc chips. I bet the bday boy relished those choc cupcakes with orange icing too..
Lovely pictures..and tempting icing..i wish you cud give us some simple tips for icing our cakes. I tried making a layered cake , but it was very precariously standing till it got cut. We just manage to not make it slide over. The icing needed a lot to be desired in looks, though it was relished by everybody. How do i make it look as good as yours? 🙂 That's a compliment. Thanks for your blog…I loved your tomato coconut milk rice recipe, simple and full of flavour. Wow anu..such a beautiful cake…hpy belated bday to ur son n god bless him..today only I was thinking what to do with oranges lying in fruit basket and see I got the answer.the decoration is superb its not looking homemade at all..vl surely gonna bake it tomorrow. Anu: Unfortunately it is not easy to do replacements in baking. I tested this recipe with milk powder which happens to be an important ingredient here. Maybe you can try my other cake recipes without milk powder in it? Nal: Chocolate and orange surely make an awesome combination. 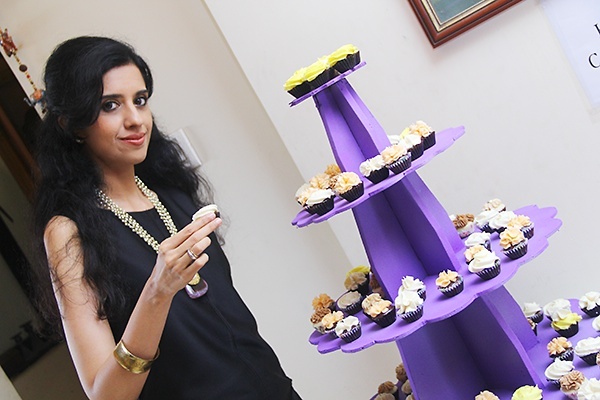 Arundati: Those cupcakes are always a hit at any party. Garima: Noted. That tomato rice recipe is a favourite of mine as well. So simple but yet totally delightful. Ashwini: I do hope so! Thank you. Siri: That's a wonderful little wish. Thanks much! Anita: Hope you like this cake. Pooja: The only change you are saying you made is what has made all the difference. Baking is an exact science you can't alter recipes and expect the same results. I have mentioned only 1 tsp lime juice and if you have used 3 tbsp it is too acidic for the cake batter to behave well and rise. I have added a little lime juice just to enhance the citrus flavour. Hope this helps to solve your dilemma. Your site is my go-to reference for when I need to bake eggless cakes for company! Your recipes are foolproof and always a hit (your vanilla bean cake with butterscotch frosting is my absolute favorite). Best of all, I LOVE that you provide metric measurements. Thanks for another lovely recipe. Btw, I've been looking for a sturdy cupcake stand to hold cupcakes at my children's birthday parties. May I know where you acquired yours from? Lovely cake Anu. I remember the post you had written when Harivansh was a year old…Time flies! The cake looks so awesome in terms of texture. Hardly looks like its eggless. Lovely clicks as usual, Happy 5`th bday to Harivansh. Lovely cake and nice snaps Anu. First time in your kitchen and love your webspace. Definitely will try this cake and let you know. See you some time at CheenaChatti. didi, what size do we get with this amount? Dear Anushruti, I stumbled upon your blog recently and am amazed and delighted to see so many eggless cake recipes you have here! Only yesterday I was speaking to my mother-in-law (she doesn't eat eggs) on how we need more eggless baked treats in our lives 🙂 Look forward to future posts from you! Baked this cake yesterday with outstanding results! I didn't have milk powder and cream hence substituted with equal amounts with almond meal and yoghurt. The results were very good and will be repeated with some extra citrus flavour. Thank you for this recipe. Your photographs are really nice,and cake is looking amazing. Thanks for sharing this nice egg less recipe. Nice post. I will definitely try it in my daughter's birthday. Arthur: Yes you can make the frosting in advance and store. His cake stays good for 4 to 5 days in the refrigerator if it stays that long, that is. Hi Ms Anushruti! Greetings from Malaysia. Your presentation is awsome.Wanna double check on the type of cream and milk in your receipt. Do you mean whipping cream for cream and fullcream milk for milk? or something else? Genges: You can use full cream or low fat cream depending on what you want. The same holds good for the cream. You can use full fat, whipping cream or low fat cream. I used 25% fat cream. Full fat milk and cream will give a rich and tasty cake. hi, how cupcakes does this recipe make? and what food colour i should use? nishita: This should make about 12 to 15 cupcakes. Natural food colour is difficult to get in India. I made this cake and was fantabulous. But for my chocolate loving daughter can I make it chocolate cake. If yes what flour, milk powder and cocoa powder ratio do you suggest. You have a very cute lil boy, mine is turning 4 next month and am looking forward to baking some cupcakes for him and his friends! I was wondering if there was a better way to present the cupcake wrappers/liners, mine always seem to absorb the oil from the cupcake 🙁 Do you line yours doubly before baking them or otherwise? Please let me know. Thanks! Pradnya:There is no need to doubly line the cupcake tins if your recipe is right. 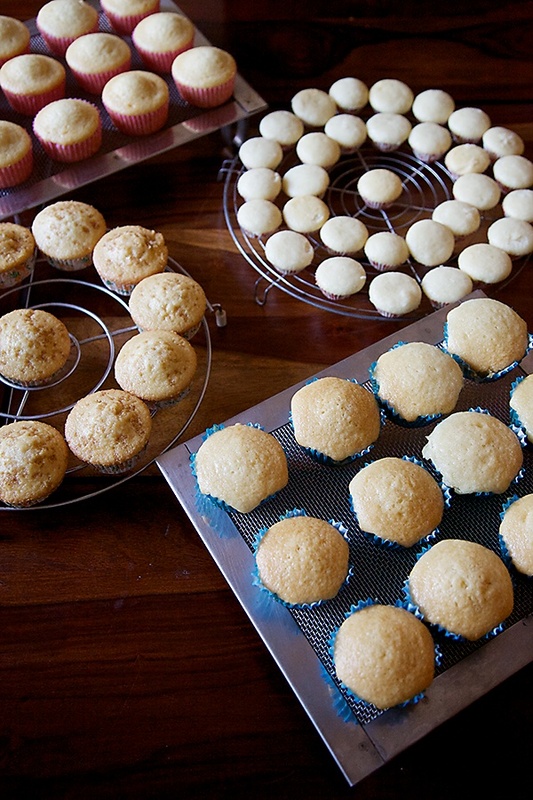 A good cake/cupcake never sticks to the tin or liner. If you follow a good recipe properly, you should not have the problem of the cake sticking to the tin/liner at all. Also make sure you leave the cake/cupcake to cool on a wire rack once its done. If i am making cupcakes using the same recipe then for how long should i bake them? And also, when should i reduce the temp as you have mentioned for the cake? Another thing- in all your recipes, is the butter used unsalted or the salted amul butter? Can i use nutralite and have same results? Akshita: 20 minutes for cupcakes..no need to reduce temperature. I use whatever is available. Amul works fine. Can't say about nutralite as I dont use it. I want to make this cake today for my sister's birthday tomorrow (Nov 3rd), but I do not have cream. Can I use anything else in place like evaporated milk, yogurt or condense milk? Please reply asap for me because I might make it later today and frost it tomorrow. Also, please give your input on the frosting if it should be done today or tomorrow and how to store it overnight. Marie: I'm so sorry Im a bit late in replying. I have been under the weather and add to this the crashing of my mother board. Coming to your question you could replace the cream with the milk. And do the icing up to a day in advance and refrigerate the cake. Sorry once again for not being able to reply on time. Much. Color and texture is just same as u. Chocolate chips, both are fantastic. Poonam: Very nice to hear that! Sure..will keep your request in mind. Look forward to hearing more from you. 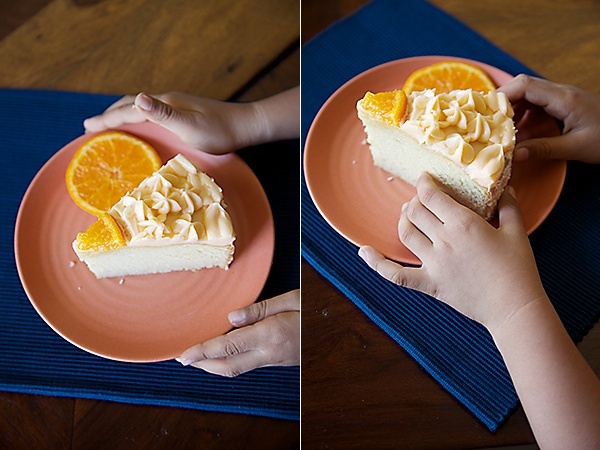 Tried this with fantastic results…everyone loved the cake and it lasted only a few hrs. Just one thing…the orange flavor is not very pronounced…shud i add a bit of essence or cud it be cos i diluted the juice? Bhavana: I use an orange extract which is unfortunately not available in India. 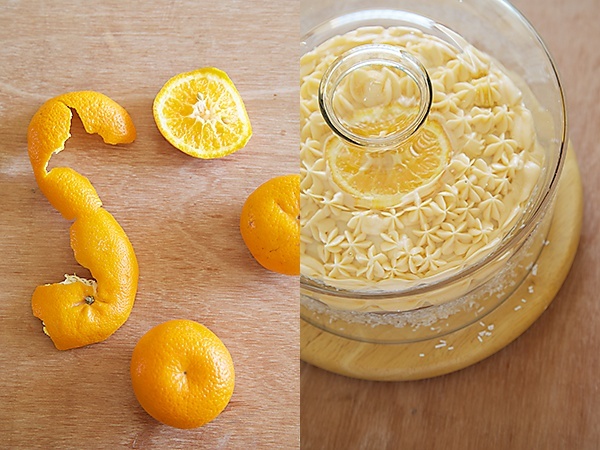 You can use 2 tbsp of orange marmalade maybe? Pls refer to my baking FAQ for the cake sinking in the center. I am planning to bake this cake for my anniversary. Can you tell me what decorating tips you used for the icing. Hopefully it comes out as pretty as yours! saranya: I used a wilton 2D and 1M tips. Thanks this was a hit! I have a 8 month old daughter and for every monthly birth dates I have baked your cakes, and plan to continue till she turns one! 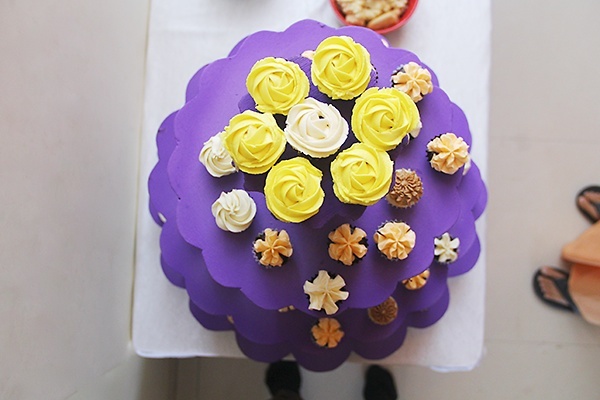 I also plan to make your cupcakes for her bday; Thank you for all the inspiration and kudos to you! Congrats btw! saranya: That's awesome!Look forward to hearing more from you. Tried this cake today, it turned out to be amazing.I have been trying eggless cakes one after the other to no avail;I had almost concluded that they will never turn out as good as cakes with egg, even if they don't flop.But this one can give any cakes with egg a run for their money.Thank you so much for this awesome recipe.Happy caking! Viji: Awesome! That's so nice to hear! At what stage should i add that at and how much? Bhavana: Just mix it into the batter. I wanted a more pronounced orangey taste,So I peeled oranges,de-seeded them and ground them to a pulp.Instead of !cup milk I used ! cup of this orange pulp and instead of 3 tbsp of orange juice, I used 3 tbsp milk, rest of the recipe and procedure was exactly he same.The cake turned out well,with a bit more orangey taste,it has a nice yellow colour too! Thanks for great base recipe. Got a few more ideas for modifications to this cake to bring out different effects and flavors, will share them as and when I try them! I've made this cake three times…it was delicious everytime but the first two attempta yeilded a heavy and dense cake. I know a good cake when I see one so I was sure I was doing something wrong…I'm not sure if it's just because I live in a different climate (one of the lowest humidities in the world) but it didn't look as beautiful as yours and it was so dense unlike the one made here. Finally I tried using cake flour instead of all purpose flour. Now, after my 3rd attempt following all your steps, I have finally achieved something close to the light crumb of your recipe by substituting cake flour for all purpose flour. This is definitely the best eggless recipe I've ever made, thanks for sharing, it was a lifesaver for my nephews bday party. Sandra- Thank you for the feedback. Look forward to hearing more from you. Aritri- Yes you can make it a day before and store it in the refrigerator. If you have a cake cover then you can cover it as well. Hi, I have made this cake for my daughters birthday. It was perfect, absolutely delicious . It is the best textured eggless cake I have ever made. Thank you. Aritri-So happy to hear that! Hi Anushruti, I would like to make this cake and wanted to double check from the ingredients list if the 60ml cream mentioned is single cream? Would be great to hear from you, you did a lovely job at decorating this birthday cake, so pleased to have come across it! I wonder how many cupcakes you made to go with this cake and if you would be able to share a large quantity recipe for cupcakes? would be very helpful for us home bakers especially for occasions like birthday's. Again and want to do cream icing on it. I have a doubt in mind that after refrigeration the cake will get hard and i wont be able to keep it on counter for long for the cake to soften as the icing will melt. Its very hot and humid here. What if u replace butter with oil will it do? If yes pls tell how much qty of oil should i use and what method to follow to incorporate oil into this recipe? Which brand of oil will give a better taste. Hi I made this cake and tasted amazingggg. The skewer came out clean but when cut the bottom looked undercooked. What could have caused this? Any ideas? I want to make it again soon. 1Ashima- You cannot use oil to make the icing. The butter icing wont harden inside a refrigerator. You can bring it out and it softens after a few minutes. Hope this helps! D- Did you bake the cake in the centre of the oven and was your oven heating from the top and from beneath as well? I want to bake the cake by replacing butter with oil. For icing i will use fresh cream only. For baking cake i want to ask if i can use oil? Will i get similar texture and taste? If yes then in which step should i add oil. 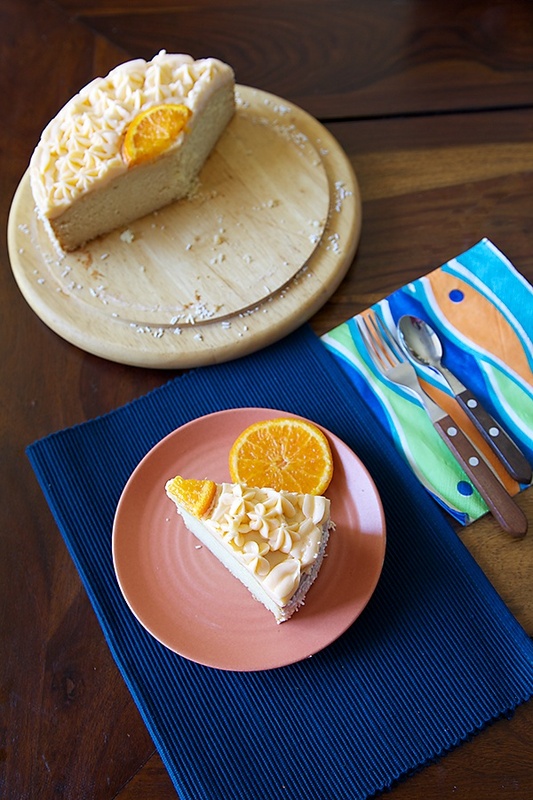 Hi Anushruti – just baked this wonderful orange cake minus the butter icing. My folks loved it although I feel the texture was not as good as yours :). Instead of the butter icing (which is a bit too rich for me)I am going to try it next with an orange glaze – similar to the lime glaze you used for the Apple Spice cake. Do you have any other topping suggestions? Thank you, Anushruti – your recipes are so amazing and reliable! Ashima- You can replace the butter with oil. Taste and texture would be different. Butter gives a rich flavour, while oil gives a softer cake. Anita- Happy to know you enjoy my recipes. You can serve this cake plain, dust with icing sugar, fill it with whipped cream or drizzle with chocolate sauce or syrup. sweta- Good to know that. Keep up the good work! Another great recipe, I must say. I wanted to ask if I don't find orange extract will orange zest work? If yes how much should I add. Darshana- Yes, you can use orange zest to intensify the flavour. Hi Anushruti, I baked this cake few days ago for a get together and it turned out awesome !! Very soft and delicious and got loads of appreciation . Pl let me know if I can increase the no of Tablespoons of Orange Juice or substitute the lime juice with orange juice to get a stronger orange flavour. I used Orange essence instead of orange extract, but still the orange taste wasn't strong. Vijayalakshmi- The orange flavour depends on the quality of the oranges and if you really want the perfect orange flavour, you will have to use natural orange extract. I'm not sure if this is available here. Substituting lime juice wont work and might mess up the cake too. Hi. Is there any substitute for cream ? Keerthi: You can substitute milk with the cream. Minal: Glad you liked it. Thanks for sharing. The cake turned out great, except when i frosted it and kept it in the fridge it became dry. how can i prevent that? Cake is in the oven. Did nt use cream. Didnt know wht was tht…..hopefully the cake turns out well. Yes, you can! Bake for 20 to 25 min at the same temperature. I hope your cake turned out well! It would change the texture of the cake. I would suggest you stick to the recipe while baking and curd and cream are anyway not interchangeable in a recipe. Take out the cake and leave it on the counter for a few minutes and the icing will soften. You can also cover the cake with a cake mould to prevent the icing from going dry.